Breakfast: Today is It’s All About Food day. 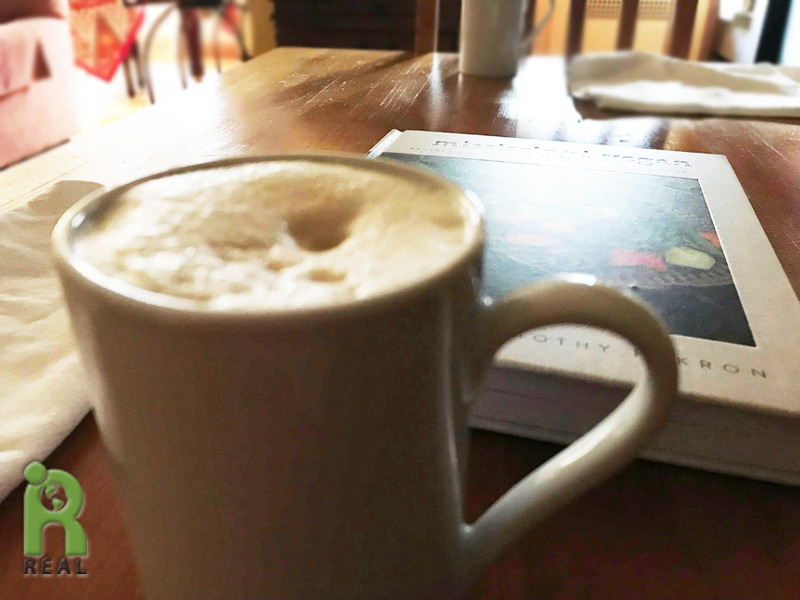 I am drinking my Chai Tea with Soy Foam as I read Mississippi Vegan, the cookbook by Timothy Pakron. I’ll be interviewing him later today. It’s a gorgeous book. The recipes remind me a lot of dishes Gary likes to make. Our Rolled Oats breakfasts have been festive and colorful this week. 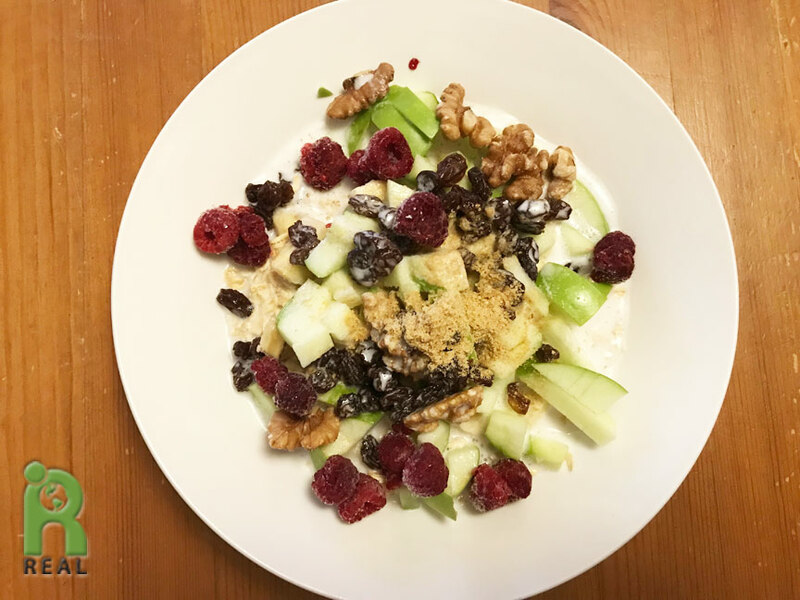 Today it has Walnuts, Green Apples, Flax Seeds and Raspberries plus Coconut Milk. Lunch: We are cleaning up the food in the refrigerator now. We’ll be leaving in a week for California. I am giving a concert on 12/7, a fundraiser for Playful People Productions. Please come! It will be fun. 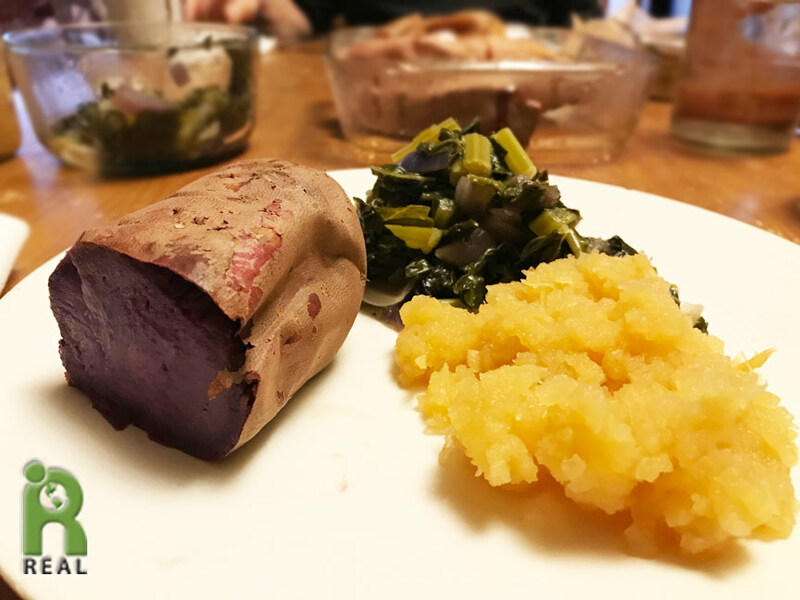 We ate Purple Sweet Potatoes, Sautéed Greens and Mashed Turnips. 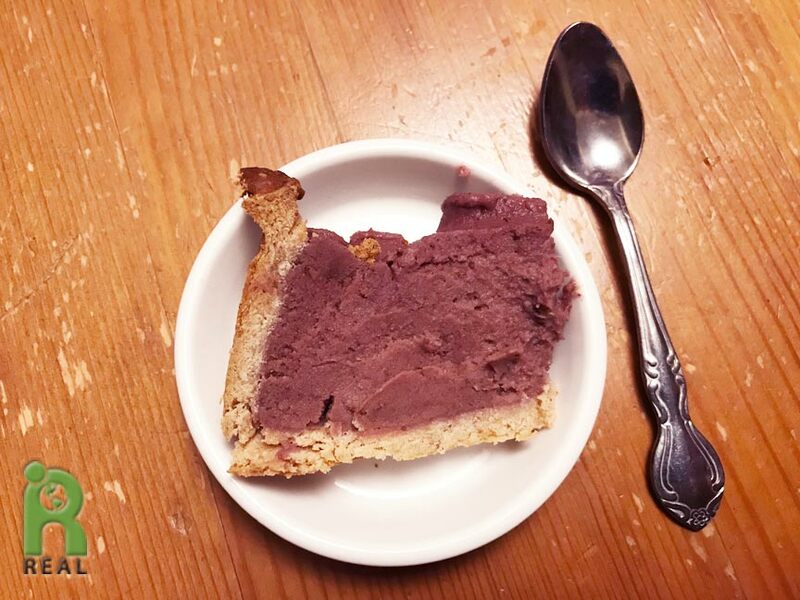 For a late afternoon snack we had a tiny piece each of Purple Sweet Potato Pie. We froze the rest and this is what was left in the refrigerator. That got our appetite going. 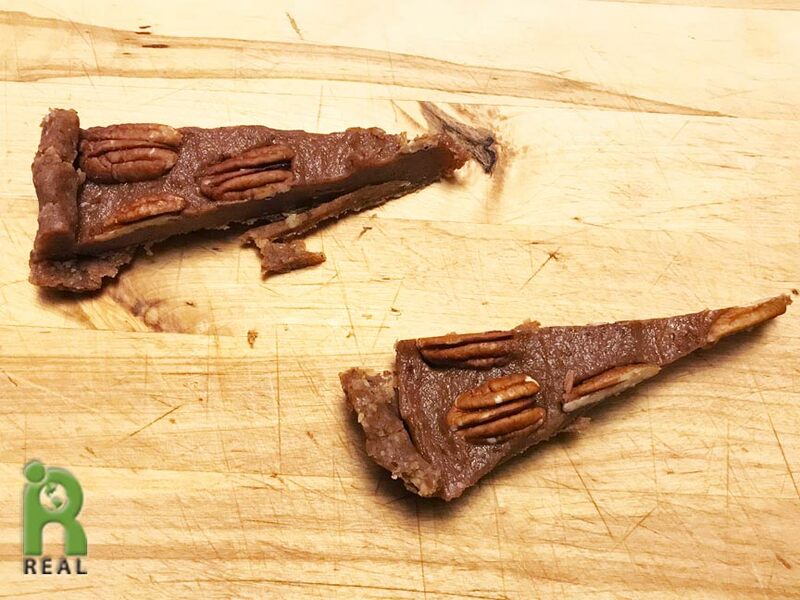 The Raw Pecan Pie is in the freezer and we took two small pieces. It lasts a long time in the freezer and stays perfect. Dinner: It was late when we were ready for dinner. Still in the holiday mood, Gary suggested making some pasta. He makes the best. 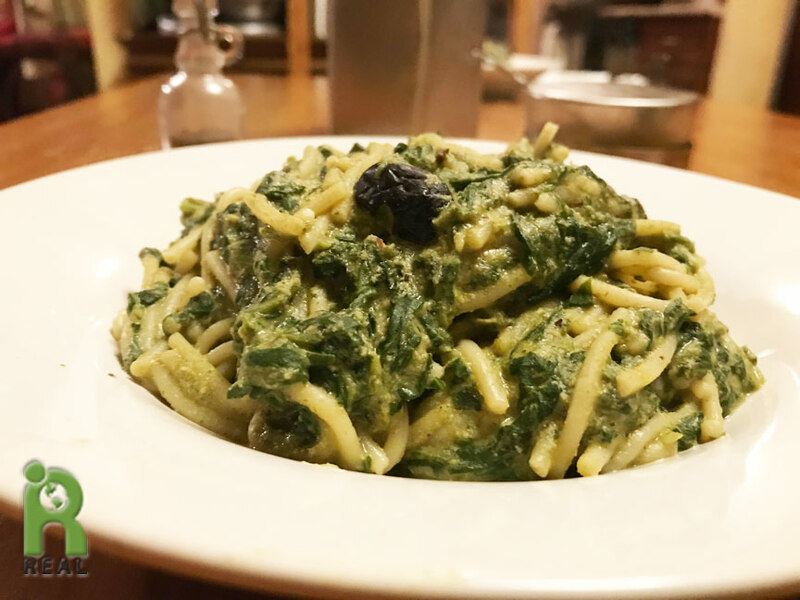 We had Brown Rice Pasta with a Garlic/Spinach/Pumpkin Seed Pesto with Black Olives. It was heavenly.